1. 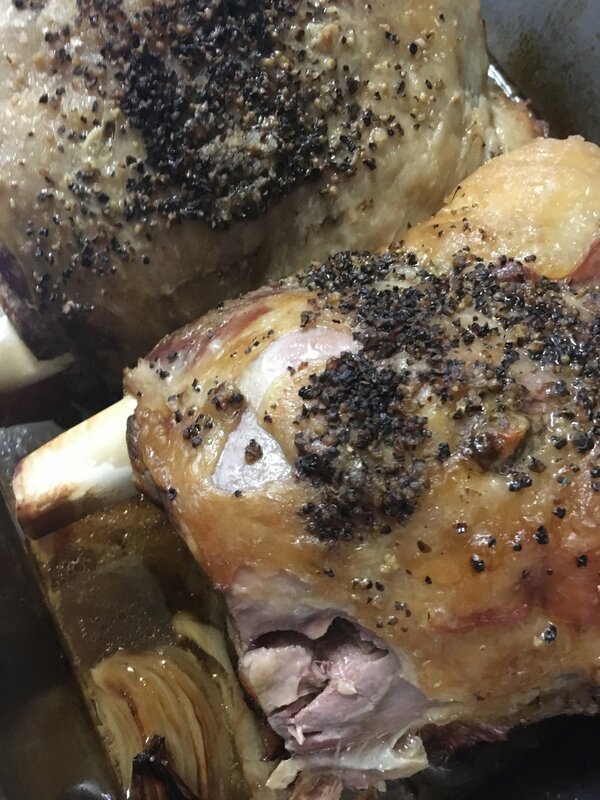 Stuff the lamb shoulder with halved garlic cloves by making a hole with a small knife into the meaty part of the shoulder and pushing the garlic clove into the hole. 2. Panfry some onion, celery, carrot and garlic until just cooked and layer the bottom of the pan. 3. 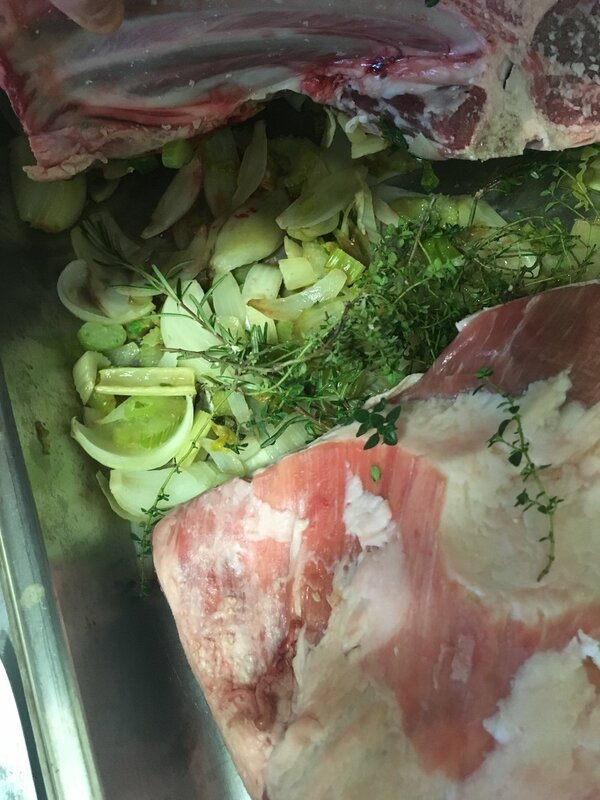 Place meat on top and add fresh herbs like thyme, rosemary and parsley. You can also add spices like coriander, cumin and paprika (optional). Sprinkle salt and cracked black pepper liberally over the lamb. 4. Fill the baking dish half way up with beef or chicken stock/broth or water. 5. Cover the dish with foil or a lid and forget about it in the oven for 4 hours at 165 degrees celsius. You can check every hour if the liquid has not evaporated completely filling it up a bit if necessary. You dont want to add too much liquid either. That will only dilute the flavours. THe oven is low enough not to stress too much about the level of the liquid. 6. Once the meat comes off the bone, the lamb is ready. Thicken the pan juices with cornflour dissolved in a bit of water and serve with mashed potato and vegetables. You can spoon off excess fat that floated to the top and keep the fat for the next time you are making roasted potatoes. Melt the lamb fat (lard) and toss the potatoes in the fat in a bowl with enough salt. YUM! 5. Cover the slowcooker with lid and cook for 6-8 hours on low until the meal falls off the bone.